Establishing a trust in conjunction with the development of your will is frequently the cornerstone of a person’s estate plan. However, you shouldn’t think that your work is done after you’ve created the trust. 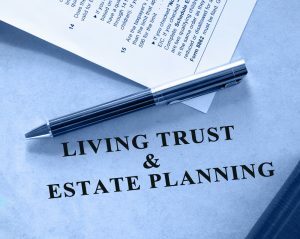 This is a crucial first step that should be completed with the guidance of an estate planning attorney but many people forget to fund their revocable trust, which in essence means it doesn’t serve a purpose. No trust can exist unless it also holds assets. When you put together a revocable trust, you will need to retitle your accounts in the name of the trust and a brokerage firm or financial planner can help you with this. Additional estate planning strategies may be recommended based on your individual needs. An annual review scheduled directly with an estate planning attorney may be necessary to figure out whether or not your current estate planning documents and tools are working as you need them to work. Many people experience major changes in their life such as the birth of a child, marriage and divorce. All these issues can alter your existing estate plan and therefore, a lawyer should be used to review them in full. Do not hesitate to get help from an experienced estate planning attorney who has years of working directly with people to not only establish trusts but to properly fund them so that they are valid. A regular review with an estate planning lawyer can save you and your loved ones.